Why are we still listening to Al Sharpton and Jesse Jackson? The concept of a ‘black community’ or ‘black America’ led by figures like Al Sharpton is counterproductive and, at best, outdated. It’s time we spent more time concentrating on what unites us. In light of the tragic shooting of Michael Brown, I’ve been troubled by the notion that a monolithic entity called “Black America” or “the black community” still exists in the 21st century—if it ever existed at all. Moreover, I think that it is simply dangerous for the likes of Al Sharpton and Jesse Jackson to be allowed to act as if they speak for all black Americans. They don’t, but the media and our first black president perpetuate this insidious myth.America has obviously made tremendous progress since the days of Jim Crow, Bull Connor, and voter intimidation at the polls. We have our first black president in Barack Obama, who immediately chose Eric Holder to be our top law enforcement officer. People of color serve at the highest levels of business, academia and politics. Still, without question, there is inequality in our country today. And does racism still exist in certain aspects of our society? Unfortunately, of course, the answer is yes. But the civil rights era is over, and the idea that there’s still some separate Black America out there is as unproductive as it is inaccurate. The tragedy that took place in Ferguson should have allowed for a meaningful opportunity for everyone in this country to talk about race from an individual perspective. Instead, people who inflame racial tensions to suit their own political ends have helped polarize this nation further, leading to a continued “us” versus “them” idea of race that doesn’t do justice to our more complicated reality. In his remarks, Sharpton noted: “All of us are required to respond to this. We can’t have a fit. We have to have a movement.” A movement? We need to have an impartial call for calm minds to search for the facts, not a kangaroo media court looking to convict a white police officer. We need to take a deep breath and push back on the destructive idea that white police officers hate blacks and want to shoot them. Those in the grievance industry are always looking to make a buck off racial strife, and it’s time we stopped listening to them. Be honest: When you first heard about the tragic shooting, did you not think to yourself that the likes of Jackson and Sharpton would be along shortly with a bullhorn in one hand and a collection jar in the other? We will never live up to our national motto of E Pluribus Unum until we stop hyphenating Americans and seeking to classify our fellow citizens based on race, ethnicity and gender. Six years into the much-ballyhooed presidency of our first post-racial president, race relations in America seem more polarized than they have in decades. Why is this the case? Those in the grievance industry are always looking to make a buck off racial strife, and it’s time we stopped listening to them. For a president who made his race a defining (and admirable) aspect of his run for the Oval Office, Obama has shied away when he could have led on matters of race, while injecting himself in ways that have been divisive rather than helpful. Think: “Cambridge Police acted stupidly,” or “If I had a son, he’d look like Trayvon Martin.” In the case of Ferguson, the president sat on the sidelines for too long as rioters and other criminals descended on the community, looking for “justice” as they stole and damaged the property of local residents. And then of course there’s the company that Obama keeps and, by extension, legitimizes. That he and his senior advisers would turn to Sharpton—perhaps the most racially inflammatory figure in contemporary America—for Politico reported over the weekend that Sharpton is the de facto liaison for the White House regarding the shooting in Ferguson. Couldn’t they have found a less polarizing figure? We will continue to make strides forward in the United States on matters of race by focusing on what brings us together rather than what divides us. So it’s time to reject the notion of the existence of a Black America or White America. There’s one America, and it functions best as a melting pot. Likewise, it’s time to extinguish the flames of racial animosity by turning away figures like Sharpton and Jackson, who claim to speak for every black American and profit from the idea that we are two countries divided by race. Instead, let’s start listening to people who want to bring us together, and try to speak for all of us. Loyola Marymount University and Santa Clara University notified employees last fall that they would discontinue paying for abortion services provided through their health care plans. On Friday, the California Department of Managed Health Care declared that allowing insurance companies to honor the universities’ request would violate the state’s constitution and a 1975 state law. The California Department of Managed Health Care has denied requests by two Catholic religious universities—Loyola Marymount University (LMU) and Santa Clara University (SCU)—to opt out of abortion services provided to their employees through their designated health care plans. Last Friday, the Department notified seven insurance companies that any requests for exemption from “medically necessary” abortions are prohibited by the California state Constitution and a 1975 state law. This comes as a surprise to both universities, who were told by their insurance companies—Anthem Blue Cross and Kaiser Permanente—that their requests had been cleared by the state. Last fall, both universities notified their employees that they planned to discontinue paying for the services. However, employees could pay for supplemental coverage through a third party provider if they desired. Soon after, abortion-rights groups and employees at the universities began lobbying the women’s caucus of the California Legislature. The caucus requested that Gov. Jerry Brown (D) reverse the health care department’s decision. Two pro-life groups, the Life Legal Defense Foundation (LLDF) and Alliance Defending Freedom (ADF), sent a letter to Rouillard on Friday, arguing that California lacks the authority under federal law to require employers to cover elective abortions. ADF and LLDF are threatening to file complaints with the Office of Civil Rights of the Department of Health and Human Services. ADF and LLDF did not respond in request for comment in time for publication. 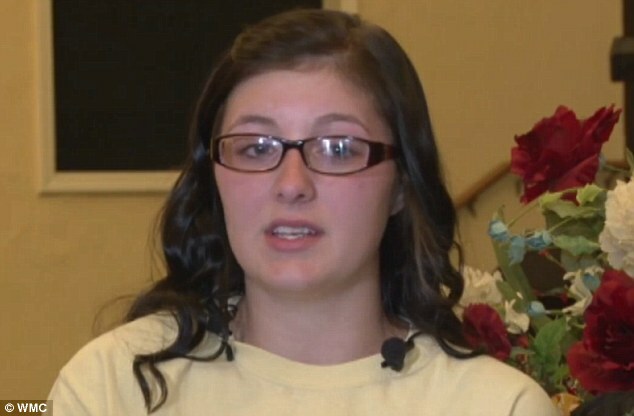 A 17-year-old was suspended from school after telling a fellow student ‘bless you’ after they sneezed. 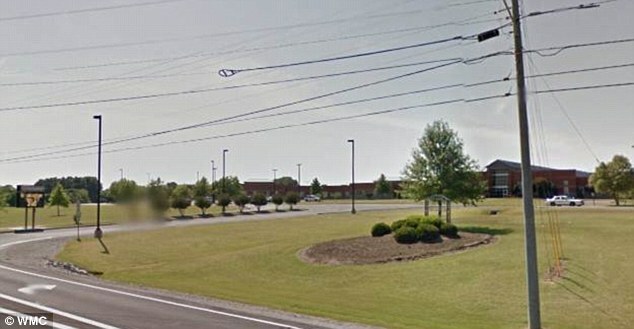 Kendra Turner says a teacher at Dyer County High School in Tennessee has banned her and her classmates from using Church speech in the classroom. But she didn’t think it was that big of a deal when a fellow student sneezed, and she used the common expression. ‘She said that we’re not going to have godly speaking in her class, and that’s when I said we have a constitutional right,’ Turner told WMC. Saying ‘bless you’ earned Kendra a one-way ticket to the principal’s office, however ,where she spend the rest of the school day in an in-school suspension. Kendra’s youth pastor Beck Binegardner said that this teacher has banned certain words and phrases from the classroom since the beginning of this year, and she has informed the students on their constitutional rights. On Tuesday, Kendra’s parents met with school leaders and at the meeting the teacher involved said Kendra was being ‘disruptive’ and ‘aggressive’ in class. She explained that Kendra had shouted the phrase from the other side of the classroom and then continued to defend her use of the phrase when the teacher called her out for breaking the rules. 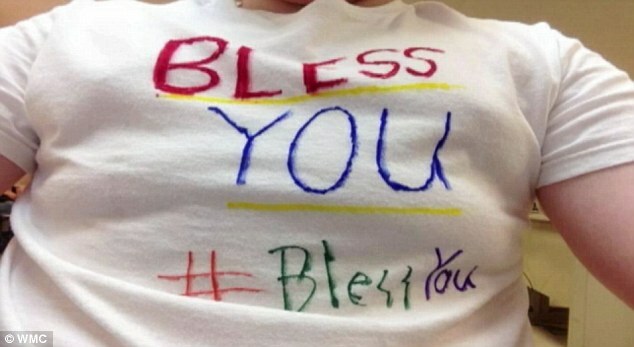 Many students at the school have shown their support for Kendra by making their own ‘Bless You’ t-shirts. Kendra says she doesn’t want any trouble for the teacher, but wants it known that ‘it’s alright to defend God’. ‘It’s our constitutional right because we have a freedom of religion and freedom of speech,’ she said. Professor bans students from saying “God bless you” in class. BRUNSWICK, Ga. (CBS Atlanta) – One professor at the College of Coastal Georgia has banned students from saying “bless you” in his class. Campus Reform reports that Dr. Leon Gardner, assistant professor of chemistry at the College of Coastal Georgia, pointed out his six rules on behavior on his Introductory Physics class syllabus. Gardener states that a student may be deducted up to 15 percent of their final grade for any student that disrupts his class. He goes on to say in the syllabus that saying “bless you” may result in an immediate 1 percent grade deduction for each occurrence. “Especially egregious behavior could result in expulsion from the class, withdrawal from the course, and disciplinary action from the college,” his syllabus warns students. Last week, a high school senior in Tennessee was suspended after breaking a class rule saying “bless you” after a classmate sneezed. Restoration: Getting back the years that the devil stole from you. I was with a great man of God as he surveyed the wreckage of America even as he was looking back on his life. This Christian general sighed deeply and said “if only I were a younger man…” I interrupted him and said “YOU ARE A YOUNGER MAN! At that moment I had nothing to back up my statement but I felt that I had just blurted out something very important. No long after that I listened to an older woman who had received a great miracle of healing say, ” While I am grateful for my healing… I still regret the years that Satan has stolen. 1. BURN OUT the burn out! Wait on God for specific fire to burn out spiritual fatigue and regret. Isaiah 40: 31 “But those who wait on the Lord Shall renew their strength; They shall mount up with wings like eagles, They shall run and not be weary, They shall walk and not faint.” It is time for you to get up and get going! You need to make some bold moves and big decisions. Realize that it is not really your body that is tired it is your spirit. Go to war in prayer specially seizing God’s promise to fuel and direct those who wait on Him. 2. Do not settle merely for restored energy, go after a total revolution in your mind and body. Some of what you suffered in your past was because you were timid. You went along with things and you did not make the demands on life that were just and right. Now you must boldly enforce God’s Word and apply God’s grace. You will now say no to things that you once said yes to: “No, I am not too old. No, I am not going to sit still. No, it is not too late! Conversely, you will now say yes to things that you once said no to! Yes, I can do it! Yes, I can finish my race! Oh, and by the way…that great man of God I mentioned in the beginning of this blog…at 87 he has reclaimed the rights to the name of the mega church he once led and he and his wife are relaunching a great work. AMEN. P.S. The Warrior’s Workshop in Houston is now on for September 17th!